The much awaited and the much talked about Apple Tablet will be launched on Wednesday, but out of all the varied rumors about the eReader one rumor pretty much confirmed to be a fact is that the Apple Tablet will be a full colored eReader (Now that might be a big worry for Amazon’s Kindle). Just yesterday I posted about Amazon’s announcement of their new royalty program for Kindle eBook sales where authors and publishers will be able to make a larger share(70%) of the Kindle eBook sales revenue and see what we have today? 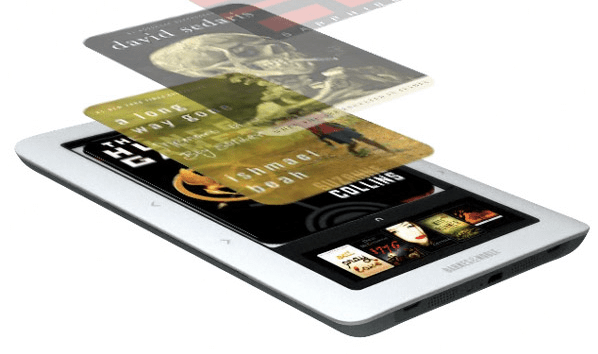 Amazon is soon to open the “Kindle” doors for App developers. You heard me right…now there is a Kindle Development Kit and there will soon be Kindle Apps. 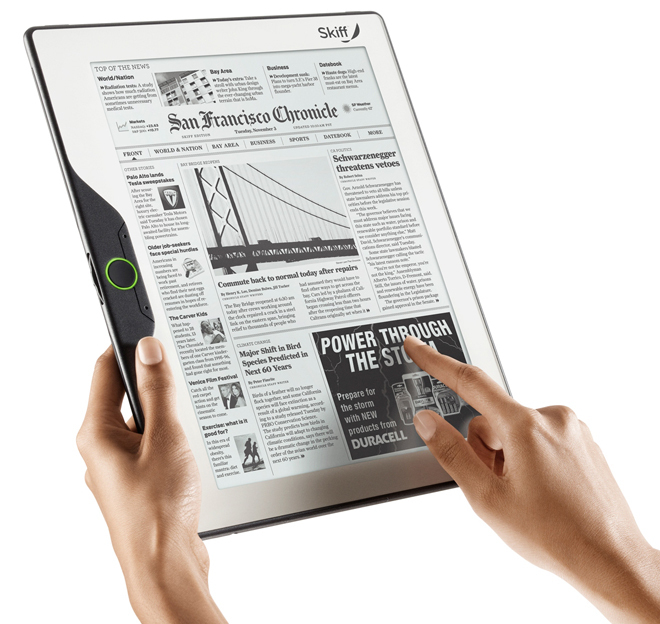 The Skiff device is almost as big as Kindle DX may be a bit thinner. The look and feel is quite good and it uses Sprint’s 3G network.